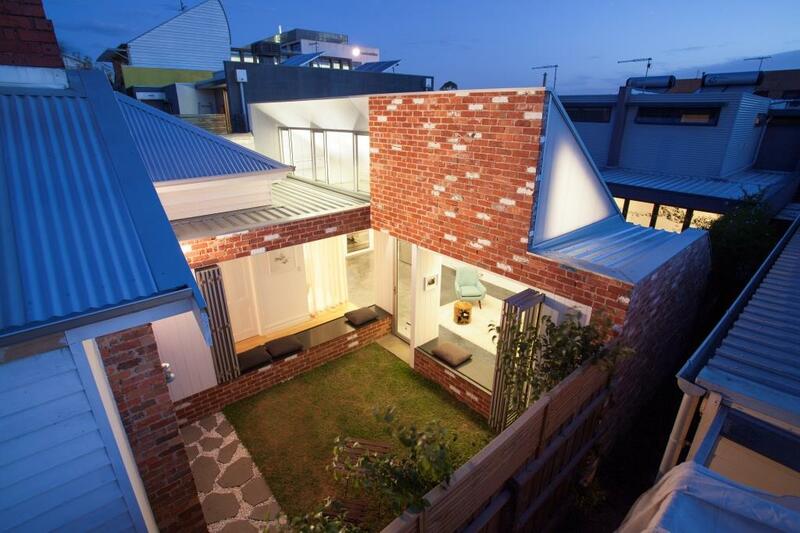 This project is an extension to a Victorian‐era house in Abbotsford, Melbourne. 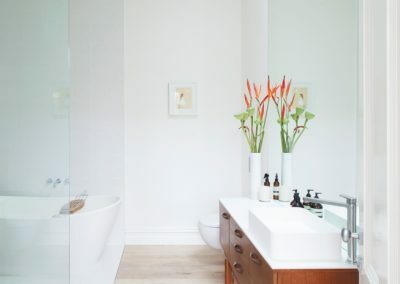 The brief called for new open‐plan living areas, a new kitchen, bathroom and study nook. Against the odds, this modest extension has turned a dark, cramped residence with little backyard to spare, into a light‐filled house with fantastic indoor and outdoor entertaining areas. 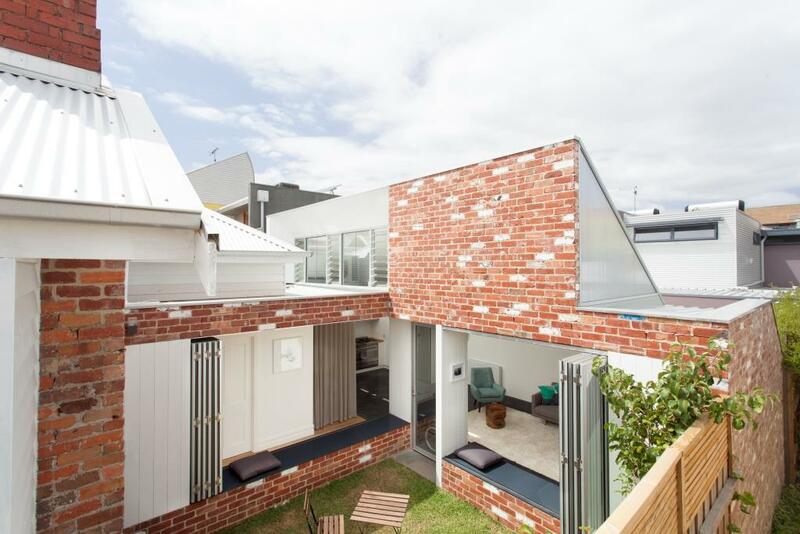 The existing house was south‐facing, casting itself into shadow, with unsightly neighbouring buildings imposing on all sides. 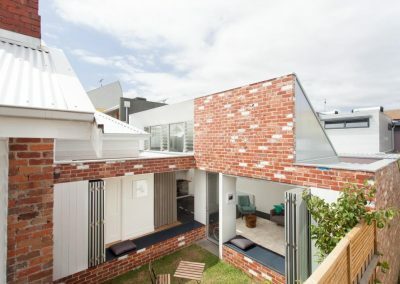 By creating a U‐shaped extension along the property boundaries, Architecture Architecture has turned everything around. Now the house enjoys a generous private courtyard, with great northern sunlight throughout the year. From the outside, the steep, raked roof deftly negotiates planning regulations, allowing for generous ceilings and high‐level clerestory Altair Louvre Windows by Breezway. 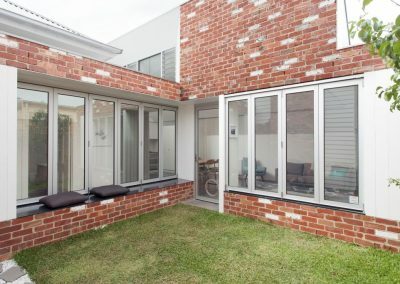 In stark contrast with these windows, an unapologetic blank brick wall hovers over the courtyard, boldly declaring a distinction between the two sides of the living areas within. 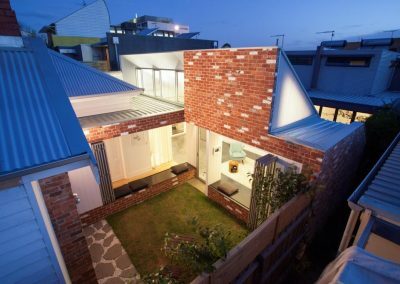 One side, more intimate, opens up to the courtyard, the other, with views to the passing clouds, admits northern sunlight in the wintertime. Along both sides of the courtyard, a pair of long bench seats soften the threshold between indoors and out. One serves the living areas, the other serves the courtyard. 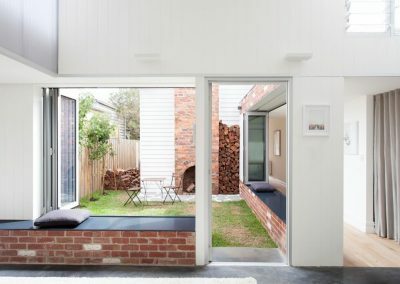 At the back of each bench, bi‐fold windows draw back, allowing the house to throw itself open to the outdoors or to close‐off – adapting as required. 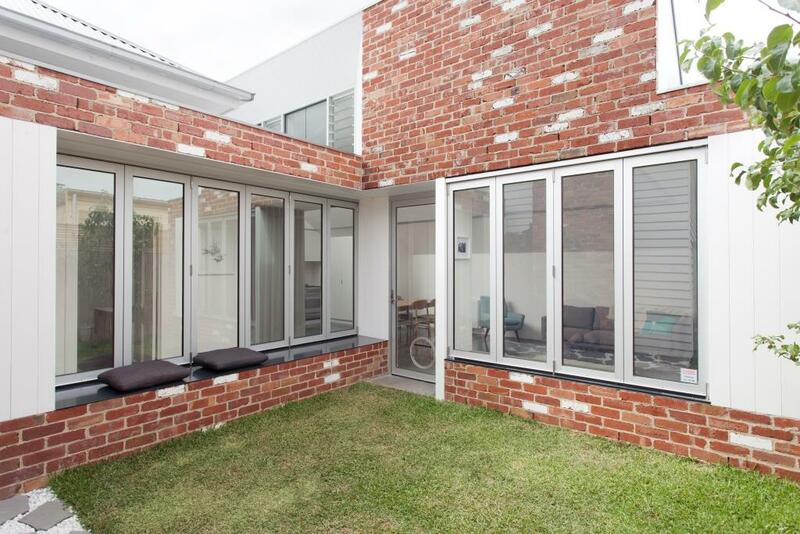 The optimised solar orientation along with the use of brick walls and a dark concrete slab for thermal mass ensure that this is a high‐comfort, low‐energy house all year round, ideal for entertaining. A true turnaround.